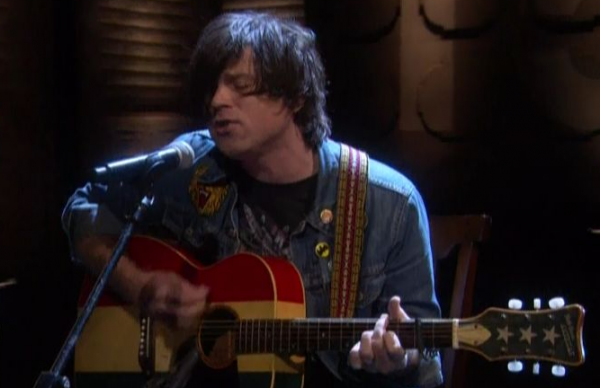 Don’t get too used to the above image; Ryan Adams has announced his first show backed by a full band since The Cardinals split up in 2009. Taking place March 19th at London’s Royal Albert Hall, the gig is part of the Noel Gallagher-curated Teenage Cancer Trustbenefit concert series. Beth Orton will also perform as the evening’s special guest. What’s more, the Royal Albert Hall ticketing site describes Adams’ “very special performance” thusly: “The show will feature the debut of new songs from his as-yet-untitled new album due for release in the autumn alongside classics from his extensive catalogue.” Yes, that does indeed say “new songs” and “new album”. The record reportedly sees Adams reuniting with 2011′s Ashes & Fire producer/legend Glyn Johns (The Beatles, The Rolling Stones, The Clash), and the band accompanying him on March 19th is expected to be the same as in the studio. Tickets for the benefit show are going fast, but can be found at the venue’s website. While we hold our breath in anticipation of juicier details on the new release, revisit Adams’ recent appearance on Conan below.